Words by Kevin Doocey on March 23, 2018 . Before the turn of the New Year, I wrote about how I felt the future of Newcastle United was hanging delicately in the balance. With just 8 games remaining and threat of relegation still looming large, never has it been more true. As many will know, this season isn’t entirely just about confirming what division of football we’ll be playing next campaign, but rather stretches far further down the spine of Newcastle United and its supporters. Rafa Benitez is the sole reason why many NUFC fans - myself included - still retain some hope about our beautiful football club perhaps having a future that the city, and supporters deserve. A drop to the lower tier would ultimately see Benitez depart, and if/when that happens the Club will have to start anew, most probably under the stringent ownership of Mike Ashley – a thought which sends another shudder to the Magpies following. However, all is not lost. In fact, this two-sided coin we call fate may bring brighter days to Tyneside, depending on how the next eight games unfold. Rafa Benitez is a wily operator. He is one of the most astute managers in world football, and brings a very methodical approach to the game even as far as the boardroom. Having managed in the lower tiers of Spain to guiding Valencia to massive success, Benitez has wallowed in the spotlight of English football with Liverpool & Chelsea, with the small matter of managing Inter, Napoli, and Real Madrid in between. To think he then went on to take over at Newcastle United is still hard to believe, but here we are, banded together in Black and White. During his spell with Liverpool, particularly towards the end of his tenure at Anfield, Benitez gained a lot of experience in boardroom politics. The arrival of new American owners at Merseyside brought about difficulties on all levels for the Spaniard - from transfers to the way things ran behind the scenes. The arrival of Robbie Keane for example, was not the choosing of Benitez according to reports. It wasn’t long before the Irishman was sent packing back to London. At Real Madrid, Benitez faced the toughest challenge of his career. Perhaps even he knew that he was facing a losing battle before accepting the gig, but as a Spaniard, when Madrid come calling you don’t turn them down. His reign didn’t last long, but he did leave behind a number of players who have impressed in the historic White jerseys since. Mateo Kovačić is just one of those - someone who has gained quite a bit of gametime under Zidane. So when he joined Newcastle United, Rafa Benitez was under no illusions of what kind of man he was working with. Maybe that’s why he’s still here at St. James’ Park. As we enter the final year of Benitez’s deal at Newcastle, Benitez is already playing a key political card by issuing a smooth ultimatum to MA during the Magpies’ three week break from domestic football. He told Ashley - albeit indirectly - that things need to change in and around the club (no way?!) before signing any new deal. In a fantastic interview with Luke Edwards of the Telegraph, Benitez reveals his disappointment, concerns, and hopes all in one succinct, non-intrusive broadcast. Yet work is already underway for the next stage of Rafa’s project. The youth systems is already being turned inside out. A rather large shortlist of summer targets is being drawn up. For all the uncertainty, Benitez is making the sounds of a man happy on Tyneside and excited to continue his project. However, the plug will be soon pulled if things don’t materialize at boardroom level come the new season. Ideally, Ashley will still sell the club in the summer. Some say this is one of few reasons Benitez is sticking around. Managing Newcastle United makes sense for Rafa, it allows him to stay near his family in Liverpool, and he has the opportunity the transform one of the last genuine clubs in the Premier League. It’s exciting, but Rafa needs his ambition matched at the round table. Huddersfield make the trek to Tyneside in a week for a crucial tie. A victory for Newcastle United will likely push us inches away from safety whereas defeat, well, crank the pressure dial up another 100%. It’s all about the football from now until May. 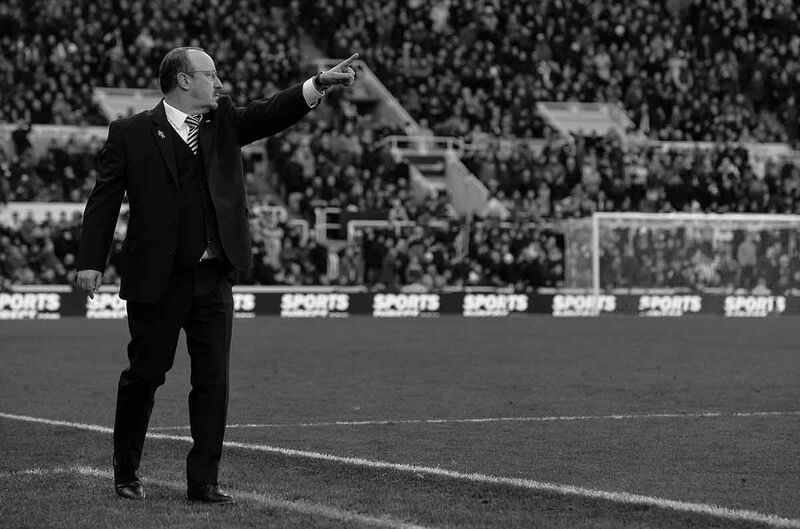 After that, hopefully Newcastle United supporters can look forward to a bright future under Rafa Benitez. The cogs of Rafa’s political machine are already motoring into action, and his plan is on track for now at least. Huddersfield is on the mind, but deep down, the North East waits with baited breath to see if Rafa can herald in a new era at St. James’ Park. Comments welcome as ever - feel free to follow me on Twitter @KevinDoocey for more ramblings.